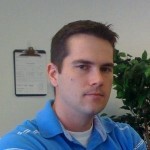 Meet Joe Hayes, the founder and administrator of BlogSavy.com blogs. Joe has been been involved in web development and internet marketing since 2003, originally building websites as a hobby. BlogSavy was founded on the ideals that there are many topics not represented well or very accurately, and that writing about these topics can not only be fun but also profitable. I’m not really good at writing about myself, so I’d just like to say thank you for visiting BlogSavy and learning alittle bit about me and the rest of our authors. We’ve got a really great group of people who enjoy writing about things that aren’t usually discussed in very much detail on the internet. When choosing a topic, we’re really careful to be as focused as possible so that we can cover everything that you might want to know about the subject. If you have any suggestions as to how we may improve our service, or would like to suggest topics for one of us to write about please don’t hesitate to contact us. Your feedback is appreciated, and if desired we’ll try to get back with you as soon as possible.